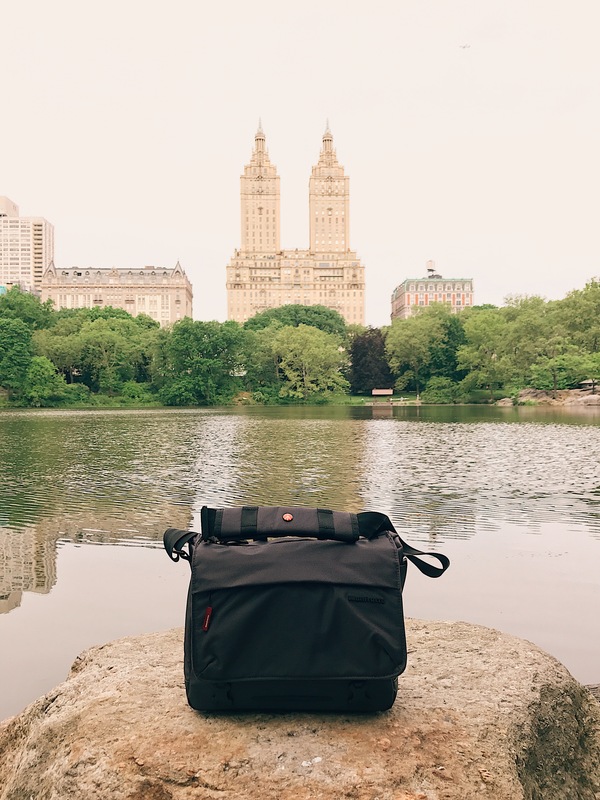 For years, I searched for a camera bag that I wasn’t embarrassed to carry, and finally I found it with Manfrotto’s Manhattan messenger bag. 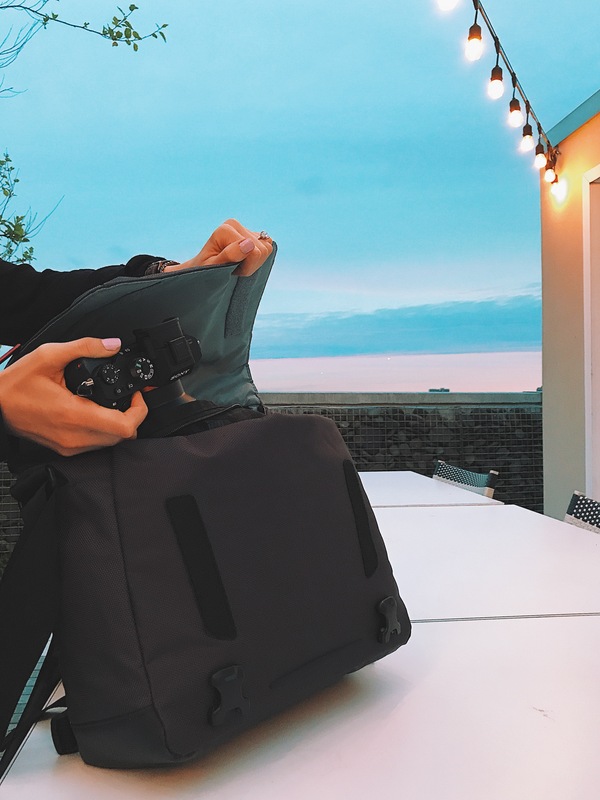 In fact, with its slate grey color, modest branding, and sleek design, the Manhattan messenger bag is more stylish than many of my friends’ “fashion” bags. The best part of this bag is its versatility. 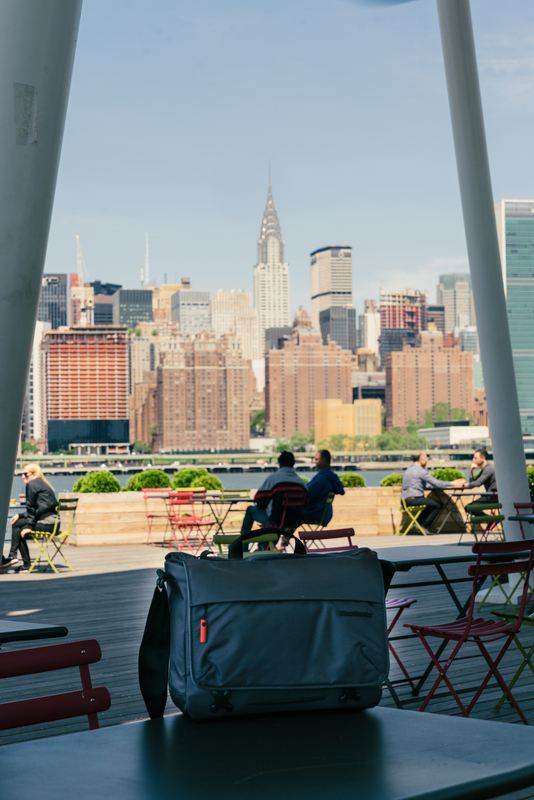 I walked around New York for six hours last weekend for a shoot, and had space not just for my DSLR, but for three lenses and all the essentials I needed for the day. Then to relax I went to Central Park, and the bag was great for holding books, sun screen, my camera and more. Incredibly, at times I didn’t even realize I had the bag on. The strap is thick and comfortable, not too long or too short. It’s padded just where it should be, around the shoulder, and it weighs almost nothing. The zippers are strong and durable, and to get the shot at the perfect moment, I could reach around to grab my camera in just seconds. 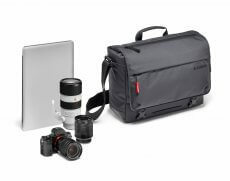 Whether you are a professional photographer or not, the Manfrotto bag is perfect for city living. 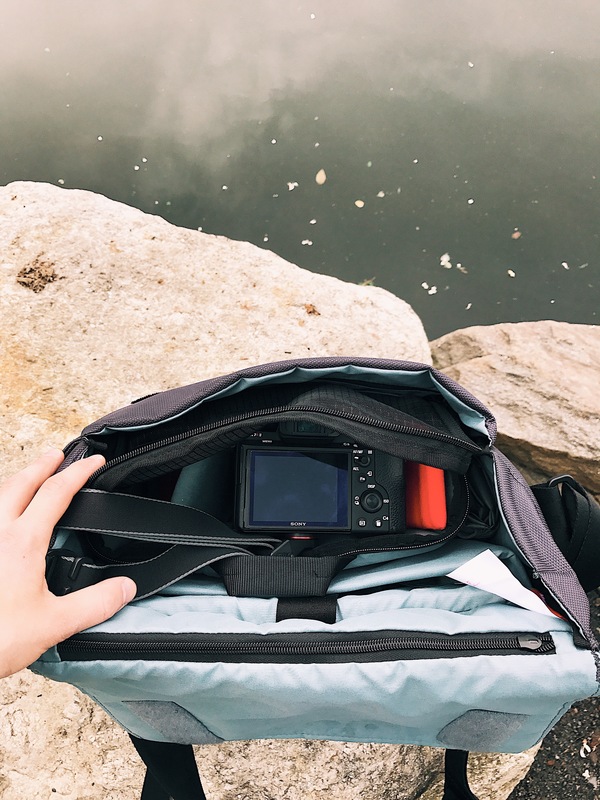 The DSLR insert is removable, and reveals a spacious interior for notebooks, sunglasses, cell phone – anything. 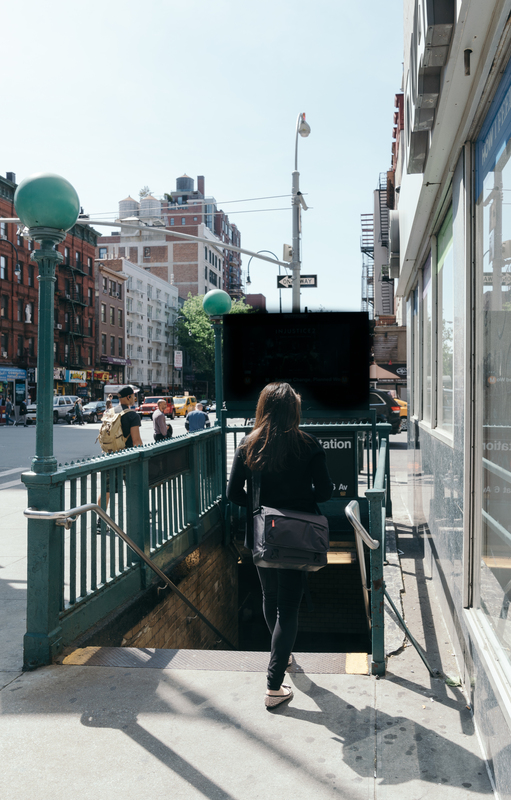 And because it has no wasted space, the Manfrotto Manhattan messenger bag is compact enough to carry on crowded subway trains and city streets.